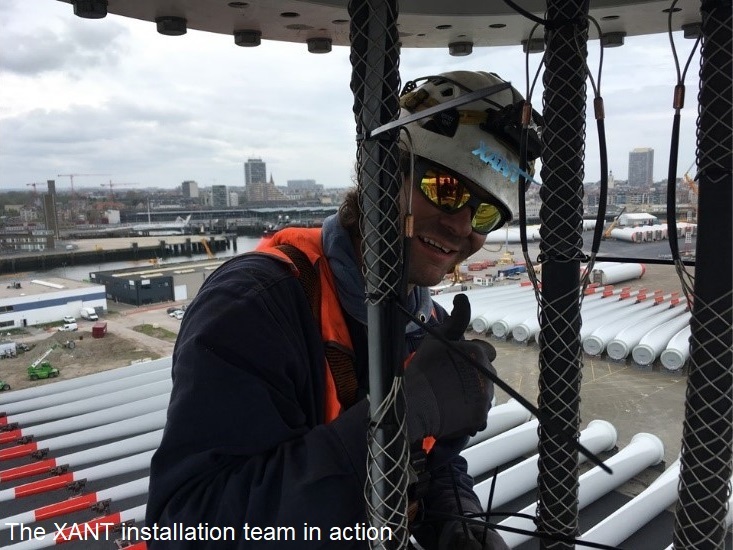 The Port of Ostend has become a leading wind energy hub providing training and accommodation for the maintenance crews and serving as sail-out port for the installation of the offshore farms in the North Sea. In a setting where each square meter of ground surface is an asset that can be rented out, the choice for mid-size wind with a minimal footprint is an obvious one. 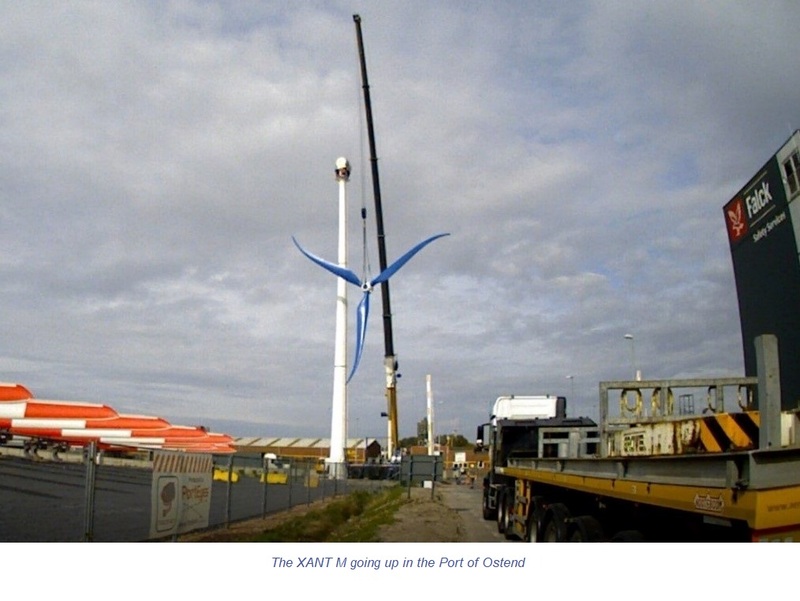 The XANT M is placed in the middle of the Port zone and will deliver about 300MWh per year of carbon-free electricity; a highly visible beacon making the sustainability ambitions of the Port very tangible. Wind Power comes in different flavors: large off-shore wind power plants using 5-10MW behemoths for bulk electricity generation, on-shore large wind with turbines in the 1-3MW range and mid-size wind for distributed generation like the XANT M in the Port of Ostend. XANT brings wind power close to the consumer: XANT wind turbines are installed close to offices, plants, farms and residential areas thanks to the silent operation and a scale that blends in with other constructions. The XANT wind turbines are also “electrically” closer to the end-user: thanks to the optional integrated storage and demand-side management control, the in-site use of electricity is maximized and the variability of wind power mitigated. XANT turbines can actively participate in the management of future micro-grids by providing ancillary services such as voltage support and providing spinning reserve for frequency control. Mid-size wind turbines placed on the docks of ports make a lot of sense, both from an economic point of view as when considering siting. The industrial environment lends itself to on-site generation and the closeness to the sea ensures a good wind resource. In addition, industrial processes of companies in the port ecosphere can optimize the local offtake of the electricity. The Port of Ostend is not only inhabited by off-shore wind technicians but also by seagulls, sterns and other flying wildlife. A study of the migratory routes and also the daily flight patterns has been conducted and the siting of the XANT M has been adapted for minimizing the risk on a bird collision. This way ensuring the airborne inhabitants of the port welcome the XANT M as much as the ground-based ones.